Shortly after I started living in sin with my future husband back in Philadelphia, his mother came to visit. That was an “adventure” in and of itself and of course, a whole nuther story. But I do want to tell you about my lesson in rolling pins. I said “rolling pins.” In the U.S., you typically find the same rolling pin in all houses, either made of the old-fashioned wood or of marble – which became fashionable in the late 80’s. I find the wood easier to handle since it’s not so heavy. 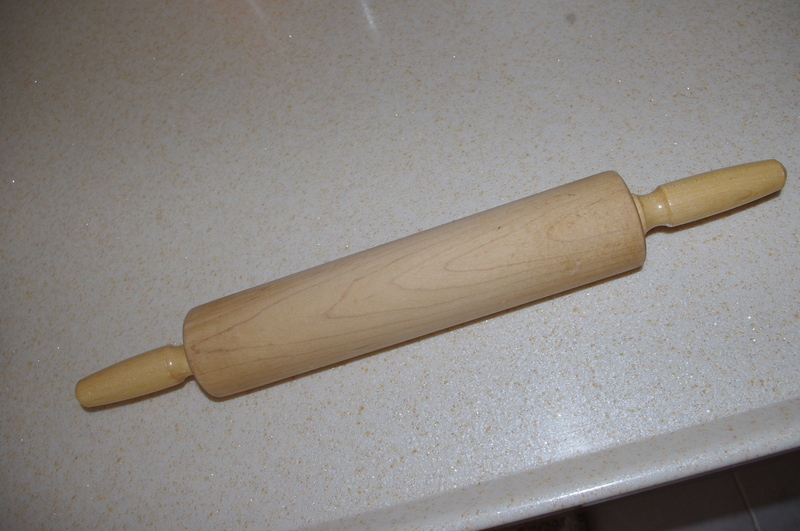 This is the type of rolling pin we generally used for pie crusts. When the future M-I-L came to visit, she was not happy with my rolling pin. And I was becoming a bit jealous of the amount of time she was spending with our Turkish neighbor. It was understandable, since the hubby and I were away at work every day. But I wanted her to be happy in my kitchen. So I immediately went out one day at lunch and bought a new rolling pin at one of the fancy kitchen stores, Kitchen Kapers. I was told she needed a longer and thinner rolling pin, and I thought I knew just what she needed! Not bad for only $7. But much to my dismay, this new, long, and thin “tapered” rolling pin was not the right thing! I now call it my “French” rolling pin and have yet to find a good use for it. (Insert joke here.) Although I am sure there are plenty of yummy recipes online. Not to be defeated, I did some research and found the right pin at Tulumba, an online store based in New York which sells Turkish groceries, crafts, and household items. 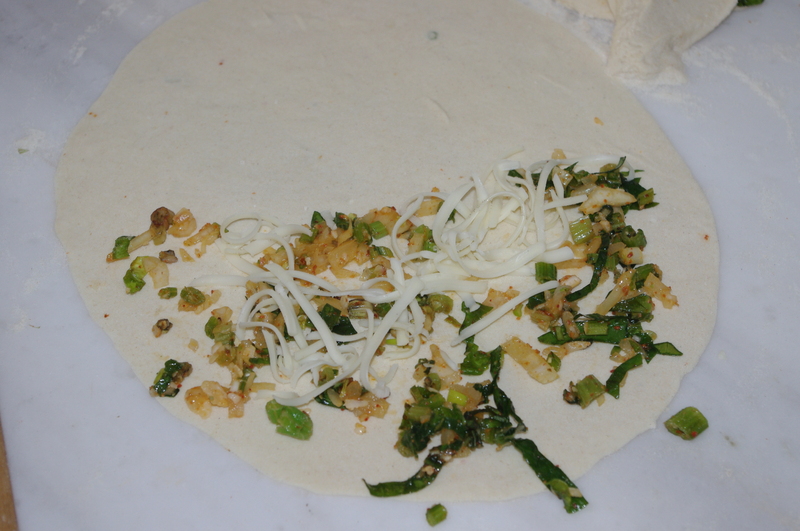 I ordered the rolling pin. I was told this style rolling pin was used to make borek dough ( a paper thin pastry dough), but I didn’t understand the need for it until I saw it done. This past weekend, I caught my M-I-L in action. In the video, she’s using a much shorter rolling pin than I purchased. I find the fluency of the motion just amazing. It’s almost like an art form, no? The final product? 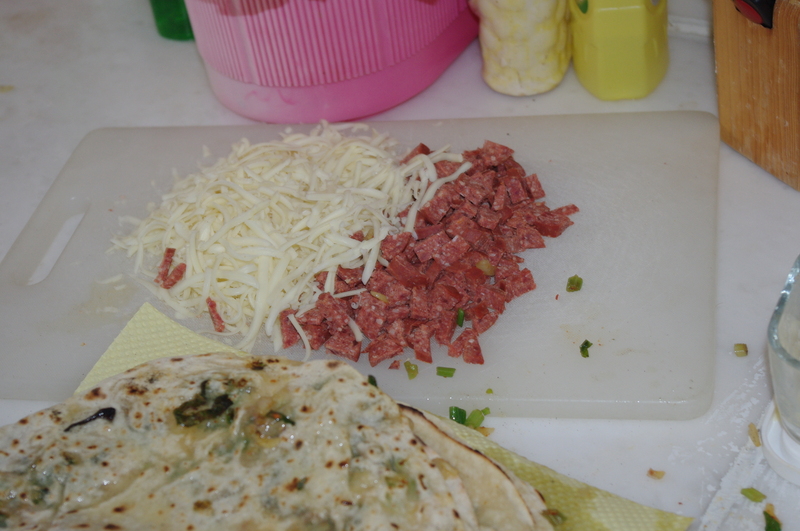 She rolled the dough into circles, stuffed some with a spinach and onion mix and others with cheese and sucuk ( a spicy sausage). She folded them in half and fried them in a pan. 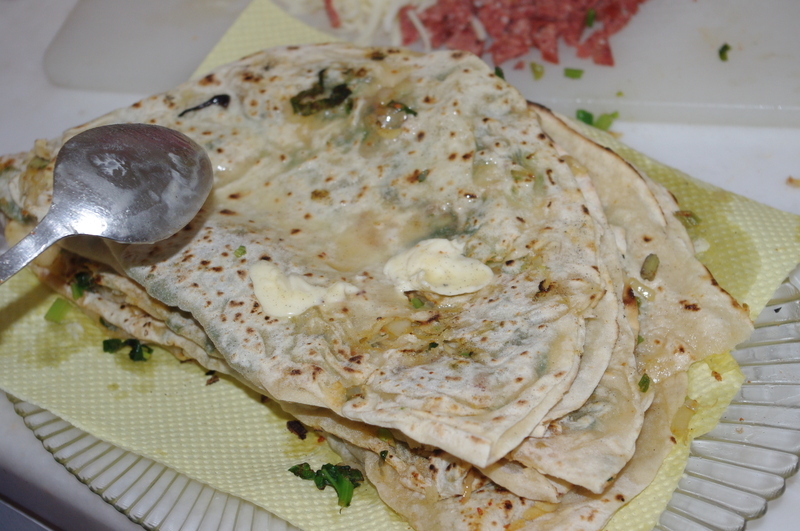 After frying, the pastries were smothered in butter and served for breakfast. Delicious! I found myself wanting to watch her make the entire dish! Next time film longer please! I wish I had! I didn’t think of it until the end! Great video. Do you cook a lot of Turkish food yourself Terry? I have had the cooking lessons from the M.I.L however can not get enthusiastic about it.Yet, I love the food when she cooks it. Hi Natalie, I cooked more Turkish food before I moved here than I do now. I am getting into a bit of a slump -not finding it as exciting as I used to. I wish there was a bit more variation to it. I agree that it’s always great to have a home cooked meal by someone else!